It’s been about a year since I went on my last visit to Fancy Tiger Crafts. This was my favorite yarn shop in Denver so I wanted to get some yarn and a project to have as a fun memory of the shop. I chose a pattern written by a Fancy Tiger designer and some Fancy Tiger Romney Yarn. It’s a USA raised, milled and hand-dyed yarn. It’s a sturdy yarn. They describe it as rustic. To me, this is yarn-speak for scratchy. It is a little scratchy, but I soaked it in Eucalan and that did soften it up somewhat. It will feel great in the cold winters we have here. Not that I am in any hurry for it to get cold so that I can test that theory out. 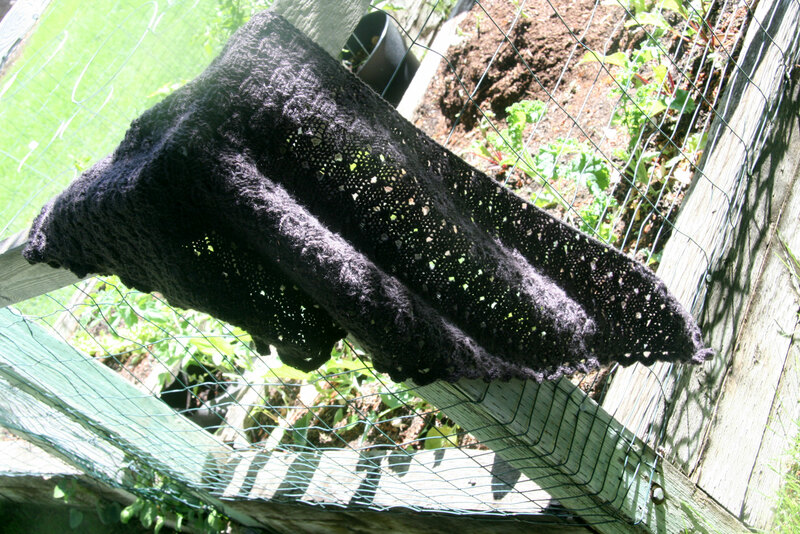 I tried to get some pictures of the shawl. This one is ok. My lovely little garden serves as the background. Despite its “rustic” feel, this yarn was really nice to work with. It’s a really well written pattern too. Hey where did he come from? 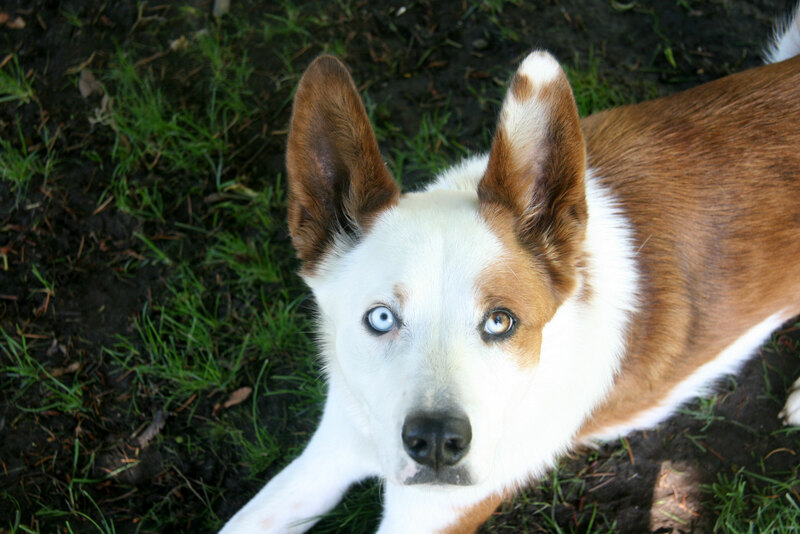 One of my nicknames for Buster is “my little friend”. He’s always with me. He was watching me try to take a decent picture of my shawl. The pattern is really a variation on a basketweave pattern (the woven look is part of the “imposter”). The other part of the “imposter” is the scalloped edge. 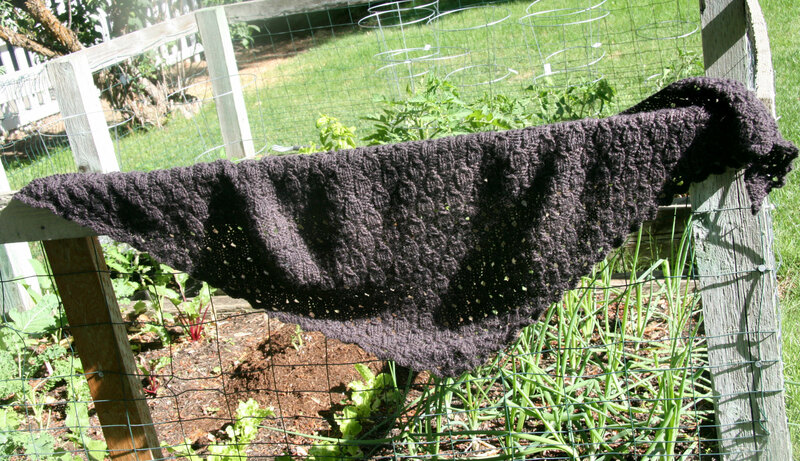 It looks like it is a crocheted scalloped edge, but it’s knitted. A crocheted edging would have gone more quickly than this edging, but I loved doing this edging. There were yarn overs at edge of each right side row. After I bound off, I went back and picked up stitches on these yarn overs. I then knitted a row with increases and then just knit a second row. Here is where it got interesting for me. I had to knit into that yarn over two rows below. Knitting into a row other than the one I am currently on is one of those things that makes me feel like a “real knitter”. So I had to do this 4 times with each yarn over. It ended up with 425 stitches to be bound off, but I love how it ended up! This would be a nice pattern for a comfort or prayer shawl although I’d use a softer yarn. This entry was posted in Knitting and tagged Fancy Tiger Crafts, Tiger Romney Yarn by cpeezers. Bookmark the permalink. Congrats on the finish. 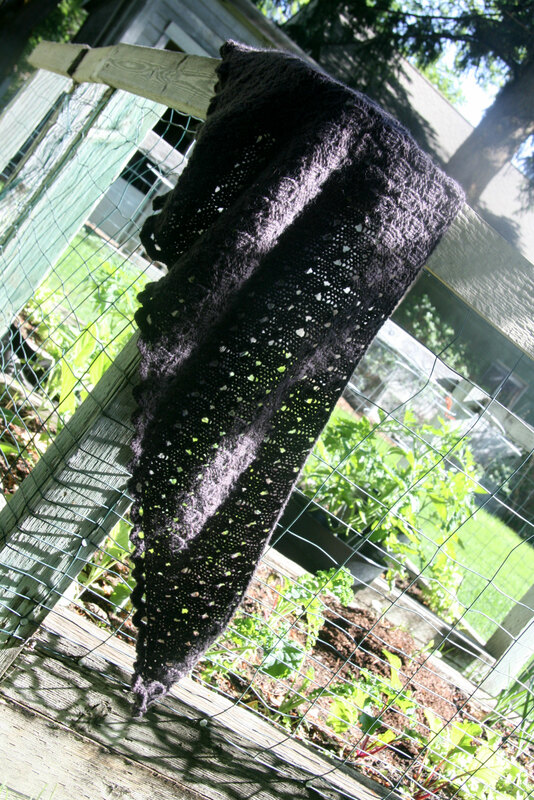 The shawl looks lovely and looks like it will be a good size to wrap up in when the winds turn chilly again.